Yom Kippur: Tuesday, Sep, 18th Kol Nidrei at 7:00 pm. Participation in all High Holiday programs is free. 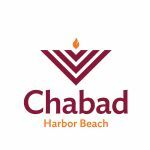 Consider a donation to help cover the costs of these and other wonderful and vital programs that Chabad Jewish Center brings to our community.